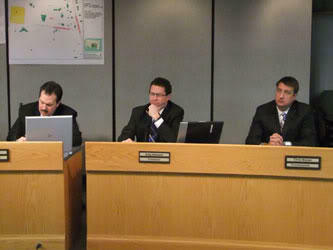 Angry employees and people who regularly use the Hamilton County Recorder's office packed Commission chambers Wednesday. They want funding restored to the Recorder's budget so he won't go through with closing the office on Friday's. Earlier this month Wayne Coates announced the four-day work week is needed to manage the nearly 25 percent cut to his 2013 budget. Paul Berlage with the Southwestern Ohio Land Title Association says avoiding filing delays is paramount. Commission President Greg Hartmann understands the concerns and says he's willing to see what can be done to keep the Recorders office open five days per week. However, he says, that doesn't include restoring any of the cut funding. Commissioner Todd Portune says the Recorder's Office is the first department to cut hours to meet 2013 budget demands but it likely won't be the last. If you need to file documents in Hamilton County, you'll have one fewer day per week to do so. 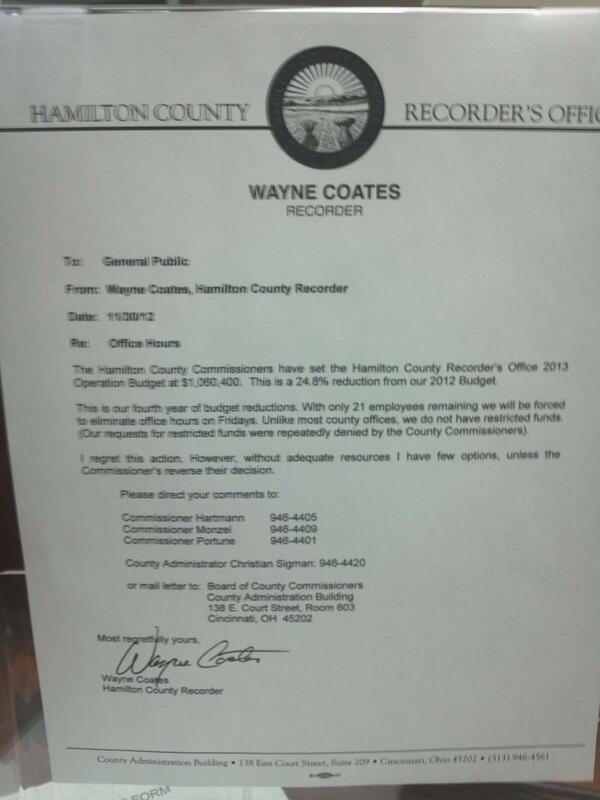 Hamilton County has a 2013 budget but unlike the past few years, the vote was not unanimous.